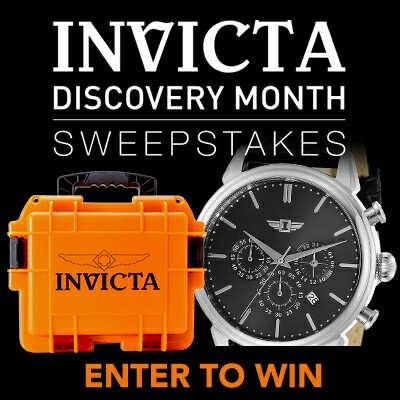 Take your style to the edge, and then some, with the Grand Diver from Invicta! A comfortable blue silicone strap contrasts boldly with the black bezel and gold-tone case that holds a handsome dial with chronograph subdials. A quartz movement keeps everything running in time down to the second.